The following is a synopsis of Rebekah in Genesis and the Bride of Christ as an example of the natural speaking in the supernatural. Was in covenant with father Abraham and God to gather a bride for Isaac the son. The Holy Spirit, the Word Jesus and the Father are in covenant with each other to gather a bride for Jesus the Son of God. Asks the bride-to-be to serve him as the Holy Spirit asks followers of Christ to serve Him. Gives the message of his calling just as the Holy Spirit gives us the message of Jesus and all scripture. Rebekah’s family listened to the message of the faithful servant of the father as followers of Christ are to listen to the voice of Father God through Jesus and the Holy Spirit. Betrothed Rebekah to the son through the gold ring and bracelets. She was bound to the son even though she had not yet seen him. Believers of Christ are also sealed by the Holy Spirit as Christ’s own even though we have not yet seen Him face-to-face. Gives gifts to Rebekah and her family as the Holy Spirit gives spiritual gifts to God’s family. The Holy Spirit’s gifts are more valuable because they are Divine and Eternal. Reveals to Rebekah and her family that the son, Isaac, is the sole heir to all that belongs to the father (an earthly inheritance), as the Holy Spirit inspired scriptures tell us that Jesus is the heir of all that belongs to the Father, and we become heirs with Him as Rebekah will when she is wedded to Isaac. In Hebrews 9:15, it speaks of a promised Eternal inheritance of the Bride of Christ. Refused to eat until he told Rebekah’s family about the father and son and his mission. His mission was more important than earthly food. Jesus in the New Testament also said that His mission was more important than earthly food. “I have food of which you do not know.” John 4:32 His was spiritual food that would feed our spirits. When Rebekah consented to go, the faithful servant brought Rebekah gold and silver jewelry and a new garment. He adorned her and gave her glorious garments fit for a king. Gold represents the Divine in scripture and silver represents the price of atonement. Jesus is the Divine Atonement for His Bride. The bridal price has been paid. Revelation 19:8 shows us that the Bride of Christ is no longer clothed in the filthy garments of sin, but in fine white linen, bright and clean (righteous). The water of the Word and Holy Spirit and the blood of Jesus have done their work. After the faithful servant has finished telling his mission, he shares a festive meal with Rebekah and her family. Jesus and His Bride will share the festive wedding supper of the Lamb. Throughout the whole message of the father sending the faithful servant to gather a bride for Isaac, the faithful servant’s name is never mentioned. Being known as a “faithful servant” to the father was more important to Eliezer than his name. His only goal was to speak about his master and his son! The faithful servant had the words and instructions of the father, just as the Holy Spirit does. The faithful servant must reveal His master to the bride and her family. We who believe in Jesus should also want to be known only as His “faithful servant” more than our name. Jesus said, “Well done, my good and faithful servant” in Matthew 25:21 Every believer in Christ should want to hear these words out of the mouth of Jesus. It is the Holy Spirit that draws us to the Son and reveals Him to us through the Anointed Word (Jesus). In the light of a new day, the faithful servant said they were to leave immediately. Jesus, the Light of the world also said that He would come quickly to gather His Bride. Rebekah’s family wanted more time to say their goodbyes. God had given the faithful servant success. Now it is time to go on their journey so the bride can meet the son face-to-face. They must not tarry. “Today is the day of salvation.” We must come to Our Savior Jesus quickly. Rebekah is no longer under the authority of her earthly parents. She is now under the authority of the father, son and faithful servant. This is also true of the Bride of Christ. We are under the authority of the Father, Son and Holy Spirit. Rebekah’s family spoke blessing over her that she would have many offspring and victory over her enemies. 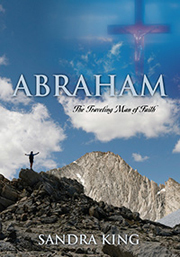 (Genesis 24:60) Rebekah will be under the care of the faithful servant of father Abraham. God also wants the Bride of Christ to have many offspring and victory over the enemy. Isaac was waiting for the faithful servant and his bride-to-be at Beer Lahai Roi – “the well of the Living One who sees me.” (see Genesis 16:13) Hagar met the Angel of the Lord near a spring in the desert when she had run from Sarai. Hagar named it “the well of the Living One who sees me.” The Angel of the Lord is the pre-incarnate Christ – the eternal Living One who sees us. Jesus, the Living One who sees us, met the Samaritan woman at a well. The Well of Salvation was at Jacob’s well waiting for this sinful woman who would soon become His Bride. How beautuful! Thank you for bringing it out soo wonderfully! The bride..us..Yes individually beautiful & pure thriugh blood but not yet glorious..that comes with sonship..as we grow uo into Christ. I believe that tbe Bride will be those that Son has come to full fruition in..that He will come & head tbe body! Glorious..transfigeration?